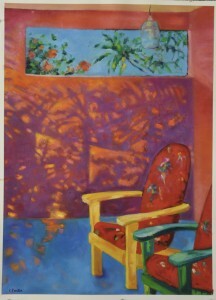 This painting, oil on paper, is a scene that has intrigued me since we moved into this house. The late afternoon light from the west, hitting the eastern lanai wall and casting shadows from all the plants outside, is wild! 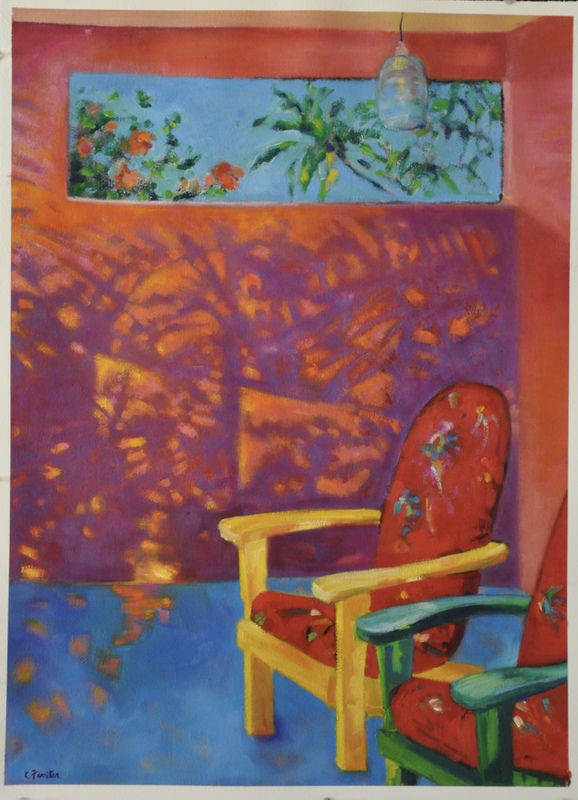 The intensity of the light, the colors of the shadows, all seem rather regional and tropical. We didn’t get this kind of light back in NY, or MA! It is new and exciting, but tough getting it down on paper. Working at this is the best thing ever!